Do you know why you’re here? On earth? Have you thought much about that lately? At this point in history, it’s easy to just skim information, watch random video clips, or amuse ourselves with whatever’s trending. The Bible, however, speaks of inescapable realities that are much more important than whatever’s streaming on your device at the moment. Such as, Why are you here? Do you know? Because that’s what matters. And that’s what God’s Word is here to show you. “Count it all joy, my brothers, when you meet trials of various kinds.” (James 1:2, esv) This single verse, though perhaps not a direct answer to that question, gives us clues as to why we’re here. It indicates that we are not here just for laughs, to run a successful business, to become well-known or famous, or to earn a name for ourselves. We are here for purposes that require us to go through a lifetime of challenges and tight spots—“trials of various kinds”—so that we can display the superiority of life lived in God. Mind if I say that one more time? We are here to display the superiority of the life lived in God. That’s a really important sentence. Because as you know, trials and troubles come to all people. They’re a part of everyone’s life. But in how many people do those same trials and troubles produce . . . “joy”? Joy is not normal. Joy is supernatural. You can’t craft it in your basement or create it through an experience of hard work or pleasure. Joy is something you can only get from God. Therefore, unlike those who don’t know Him or don’t have a genuine faith in Him, believers in Christ are the only ones supernaturally equipped to walk through “trials of various kinds,” generating “joy” in the process. Joy—a supernatural delight in the person of God, the purposes of God, and the people of God. Joy—springing up from a genuine worship of His grace, perfection, beauty, love, power, and goodness. Joy—born of realizing that He is doing something awesome around you all the time, even when you can’t see it or feel it. That’s why even Christians get cancer. That’s why even Christians go bankrupt. That’s why even Christians can have prodigal kids, suffer chronic back pain, receive rejection letters in the mail, and get into accidents on the freeway. God allows us to face and feel the same things that people who don’t know Him experience, so that we can put on display the joyful distinction of what it means to be His child—what it means to live with hope and eternal perspective. So press your mind down on that. Think about it hard today. In light of what’s happening to you right now, and in light of why you’re here, what can you do in this moment to best display the superiority of life with God? The Holy Spirit is a member of the Trinity and co-equal with God the Father and God the Son. The opening chapter of Scripture tells us that He existed before the formation of the earth and in fact participated in creation (Gen. 1:2, 26). The Holy Spirit is a gift to every child of God. His presence within us isn’t something we have to earn or acquire. Rather, it is a marvelous privilege–by indwelling our hearts, He can guide and strengthen, steering each believer away from danger and into truth (John 16:7-8). Scripture tells us that Jesus came so we could experience a full life (John 10:10). This is possible only when we listen to His Spirit and obey. Are you experiencing the abundant life Jesus promised? He wasn’t talking about happy circumstances but rather the joy and contentment possible through a relationship with Him. If you’re lacking in this area, consider your understanding of the Holy Spirit, and pray to be in tune with His promptings. Receive the Bible’s comfort. Is there a comfort for me to experience? Is God’s Word assuring me about something? When I feel anxious, fearful, or uncertain, is there an encouraging word I need? All these questions should be scrolling through our minds as we read. “Others do well, and that bugs me.” When those around you succeed, do your thoughts veer this direction: How come he’s being honored? Why is she recognized? Why didn’t I get the raise? Note Saul’s response to the recognition David received. Rather than being glad for David’s military victories on behalf of the kingdom of Israel, Saul resented David’s success. “I’d rather do nothing than risk looking bad.” After God called Saul out on his shortcomings, he became paralyzed as a leader, afraid to do the wrong thing, frozen and ineffective. Like Saul, do you feel afraid to fail? Are you willing to take a risk? “I take myself too seriously.” If you can’t admit your faults; if you can’t laugh at yourself; if others laugh because you say something silly or make a mistake, and that makes you seethe with anger; then you need to chill out! We all make mistakes. King Saul became so stressed out, obsessed with power, jealous of David, and consumed with himself that he couldn’t enjoy laughter or lightness. He lived in a perpetual funk. “I put myself down and can’t accept a sincere compliment.” Even though David persistently honored and respected King Saul, Saul refused to receive it. He couldn’t accept David’s loyalty or feel comfortable around his perceived rival. Do you do the same, shrugging off a compliment with a self-deprecating quip or hiding behind cynicism? “I think other people are out to get me.” This is a terrible way to live, and it’s obvious in Saul’s life. His anxiety grew into bouts of paranoia, provoking him to attack others. Saul almost speared David (his son-in-law) and Jonathan (his own son) to death, neither of whom had done anything disloyal at all. Are you constantly looking over your shoulder, assuming every comment is a conspiracy against you? Insecure people often become self-absorbed, tiresome, and annoying, which leads to their rejection by others. If you find that people are pushing you off because you’re consumed with yourself, then you’re in danger. A personal, abiding sense of security is a by-product of a right relationship with God and reflects this mentality: I know who I am because I know whose I am, and I know where I’m going. Nothing can shake that. The person who can rest securely in that trust relationship with God is happier, healthier, more effective—and more enjoyable to be around. All Scripture is breathed out by God and profitable for teaching, for reproof, for correction, and for training in righteousness, that the man of God may be complete, equipped for every good work (2 Timothy 3:16–17, esv). The greatest verse about biblical inspiration is also a great verse about biblical application. Second Timothy 3:16–17 not only tells us who gave us the Bible but also why it was given. God breathed out His Word for our benefit. Every part of it is profitable. Waiting in its pages is a wealth of blessings ready to teach, reprove, correct, and train us in righteousness. 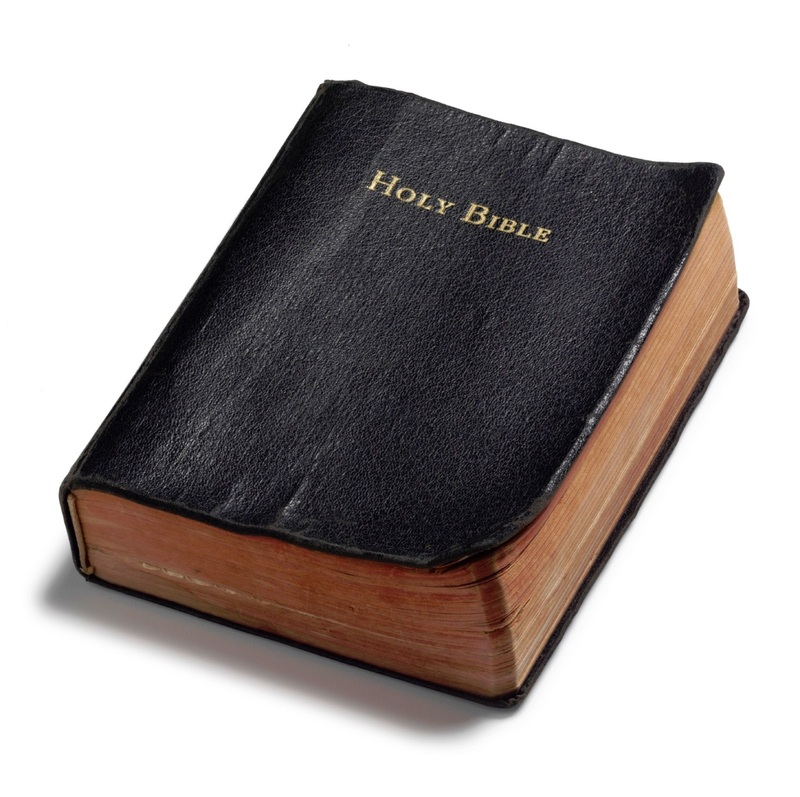 We call the Bible “God’s Word” because it contains what He wants to say. He speaks into our lives through it. Each verse and every word accomplishes at least one of the purposes listed above. No matter what our need, God has provided a response in His Word. The Bible teaches us. The word used here has often been translated doctrine—meaning core teaching. Whatever we find in Scripture is truth that’s worth being taught. Every time we read it we should be asking, What is God teaching me in this passage? God’s Word reproves us. It is the precision instrument of the Holy Spirit, often stopping us in our tracks through the conviction of sin. When the Lord says “don’t” in Scripture, it’s like He is saying, “Don’t hurt yourself.” He graciously reprimands us. God’s Word also corrects us. It not only points out the wrong, it also provides the right response. The Bible straightens out our lives like nothing else. On our own we steer in wrong directions, but God consistently directs us in the way we should go. Scripture trains us in righteousness. It is an unerring guide for the lifelong process of discipleship God wants to bring about. We will never outgrow our need for His guidance. But there is a catch in this great promise about the benefits found in Scripture. Note this phrase: “. . . that the man of God may be complete, equipped for every good work.” What God has for you in His Word only comes to you if you dig into it. If your Bible remains closed, though the benefits are all there, you have not accessed them. Amazing things can happen when you open your Bible. Get familiar with it. Figure out how to find your way around. Ask for help. The spiritual maturity you long for will never be a reality until you practice regular, careful study of Scripture. Becoming a mature disciple of Jesus—one who is equipped to carry out the tasks He places before you—will always involve His Word. When you are reading His inspired thoughts, the Lord is breathing into you His truth, loving reproofs, gracious correction, and the guidance you need. Jesus immediately reached out his hand and took hold of him, saying to him, “O you of little faith, why did you doubt?” (Matthew 14:31, ESV). It was a dark and stormy night. Sounds like the cliché opening of a poorly written novel, right? But in this case, it fits. Between three and four o’clock in the morning, the disciples got caught in a storm on the Sea of Galilee. At least four of the twelve were experienced, career fishermen. They knew enough about the reputation of this lake to be terrified. The rest of the disciples took their cues from the experts—if a seasoned fisherman like Simon Peter felt scared, shouldn’t they be scared too? Peter extrapolated this to the next point. “Lord, if it is you, command me to come to you on the water” (Matthew 14:28). Don’t you love Peter’s boldness? He was quick to respond with faith, reasoning that if Jesus said he could walk on water, he could. “So Peter got out of the boat and walked on the water and came to Jesus. But when he saw the wind, he was afraid, and beginning to sink he cried out, ‘Lord, save me’” (Matthew 14:29–30). Awww, Peter! You were doing so well. What happened? The answer comes straight from the text—Peter took his eyes off the Lord. Instead of seeing Jesus, he saw the raging storm. Does that ever happen to you? When your eyes are fixed on the Lord, life is good, regardless of what’s going on around you. But the moment you focus on the wind and waves, you start to sink. Today, are you walking or sinking? If you’re going under, it’s because you’ve been looking at the waves (like the pitch and roll of your retirement funds). You’ve been listening to the howling wind (like the voices of doom and gloom rampant in our society). You have been taking your cues from what others are saying or the way they are acting instead of keeping your mind stayed on the Lord (Isaiah 26:3). When the storms of life rage, God wants us to “have strong encouragement to hold fast to the hope set before us” (Hebrews 6:18) and keep our eyes on Jesus, Lord of the wind and waves. “We have this as a sure and steadfast anchor of the soul” (Hebrews 6:19). Jesus Christ is our anchor, an attachment point for our souls. When the waves are crazy-high and the wind whips strong and cold across your face and you don’t know what’s going to happen, you have an anchor: the assurance that God is in control. Peter cried out, “Lord, save me,” and “Jesus immediately reached out his hand and took hold of him.” Even though Peter moved his eyes off the Lord and onto the storm, Jesus had it entirely under control. That kind of assurance will settle your heart. No matter what is happening or will come your way, God is in complete control, working for your good and His glory. He has made promises that are bigger and better than your current circumstances. You may not know when those promises will happen, but you can be sure they will. Wait in faith—everything God has promised is coming, and His timing is perfect. The Bible teaches that God created us. We aren’t the result of atoms and molecules randomly running into each other. We aren’t arbitrary. We’ve been deliberately designed. There’s forethought, there’s a plan, there’s intelligence, and there’s logic behind what and who we are. Why is it so important for us to know this? Because where there’s design there’s also direction. Where there’s a purpose there’s also a program. When God created us, He created us with something in mind; to be and to live a certain way. What we are dictates what we should do. Essence drives activity. Construction determines function. Here’s what we need to note next: God created us to be social beings. We see this illustrated by the fact that the first thing God made after He created the first human was another human! He didn’t leave man alone for very long because man wasn’t designed to exist in complete solitude or total isolation. All of us were designed to interact, to commune, to communicate. Communication is God’s direction and program for us. It’s what He designed us to do…and we instinctively do it. Just look at the surge we’ve seen in cell phones, text messaging, and websites. What’s the underlying impulse that draws young and old, from Pole to Pole, to these things? It’s our embedded impulse to communicate, to converse, and to connect. God’s Word is God’s gift to us! We can know God so much more intimately by reading His word and putting the contents into practice. BIBLE: Basic Instructions Before Leaving Earth! 2 Timothy 3:16 – All scripture is inspired by God and is useful for teaching, for reproof, for correction, and for training in righteousness. The Bible is essential to every single Christian. It is God’s message to us on how to live, how to think, how to do anything, and most of all how to die. To die without knowing Your Creator is to be eternally separated from Him. Find a Bible and read it today. …and then keep on reading!